Starting a vegetable garden? 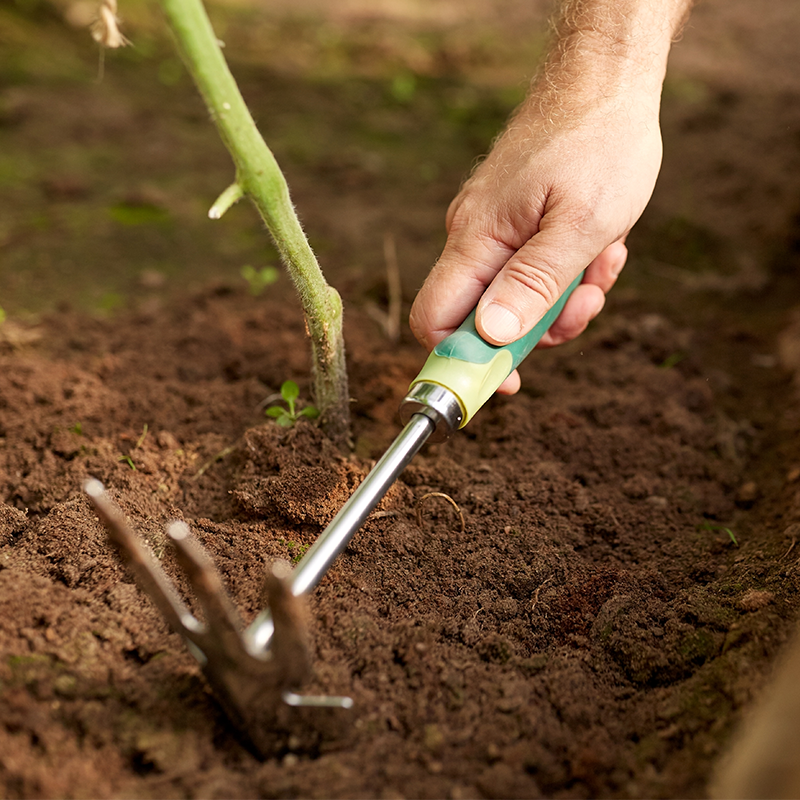 Before you get stuck in, check out these top tips that every gardener should know. 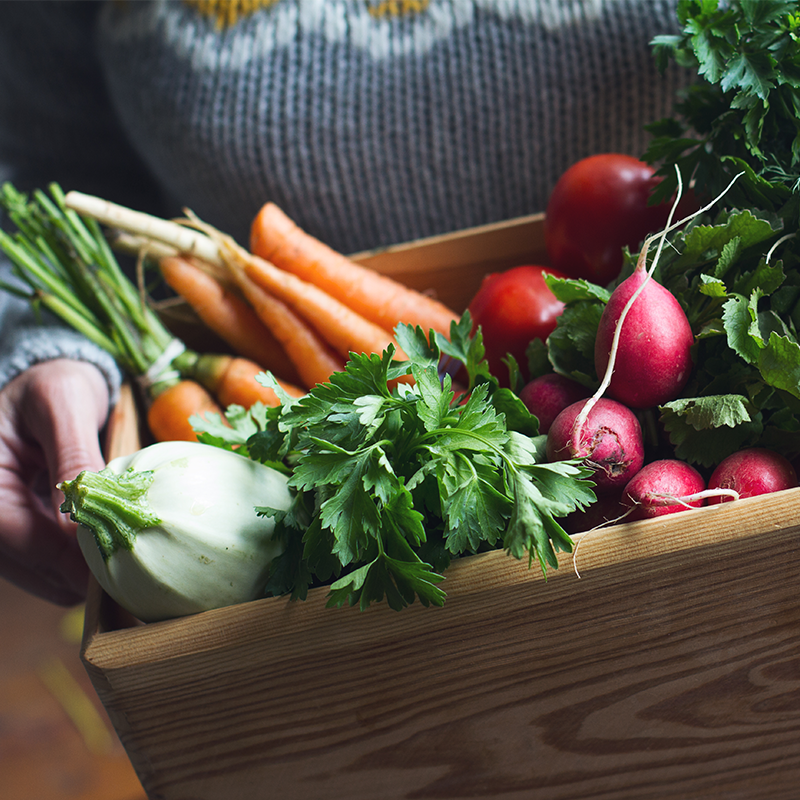 From choosing the best location to finding out what to grow when your journey towards planting a thriving vegetable garden starts here! The most important tip for anyone starting a vegetable garden is to choose the right location. Make sure you pick a sunny location as most vegetables need at least 6 hours of direct sunlight a day to thrive. Also, make sure you plant your vegetable garden in good soil – soft enough for the plants’ roots to penetrate it easily and with good drainage to make sure that water doesn’t collect on the surface or drain away too quickly. Avoid anywhere that’s prone to flooding, dries out a lot or has strong winds. Vegetable gardens need a stable environment. What to grow in your vegetable garden largely depends on the season. Here’s a brief overview of what to plant in spring, summer, autumn and winter but for more detail about what to plant each month, check out the rest of our gardening blog posts. Spring – Lettuce, carrots, beets, rocket, kale, broccoli, cauliflower, radishes, tomatoes, aubergines. Summer – Beans, aubergines, tomatoes, carrots, cucumber, corn, peppers, pumpkins, squashes. Autumn – Radishes, pak choi, garlic, kale, broccoli and cauliflower, beetroot, carrots, lettuce, onions, coriander, mushrooms. Winter – Onions, shallots, garlic, spring onions, broad beans, peas, asparagus, carrots, pak choi. You don’t need to spend a fortune on fancy tools – but make sure you have the basic essentials. We’d recommend gardening gloves, a hand trowel, pruning shears, a garden fork, a spade, a rake, a hoe, a watering can and a wheelbarrow. Try and pick tools with brightly colored handles instead of black, brown or green ones so they’re easy to spot. 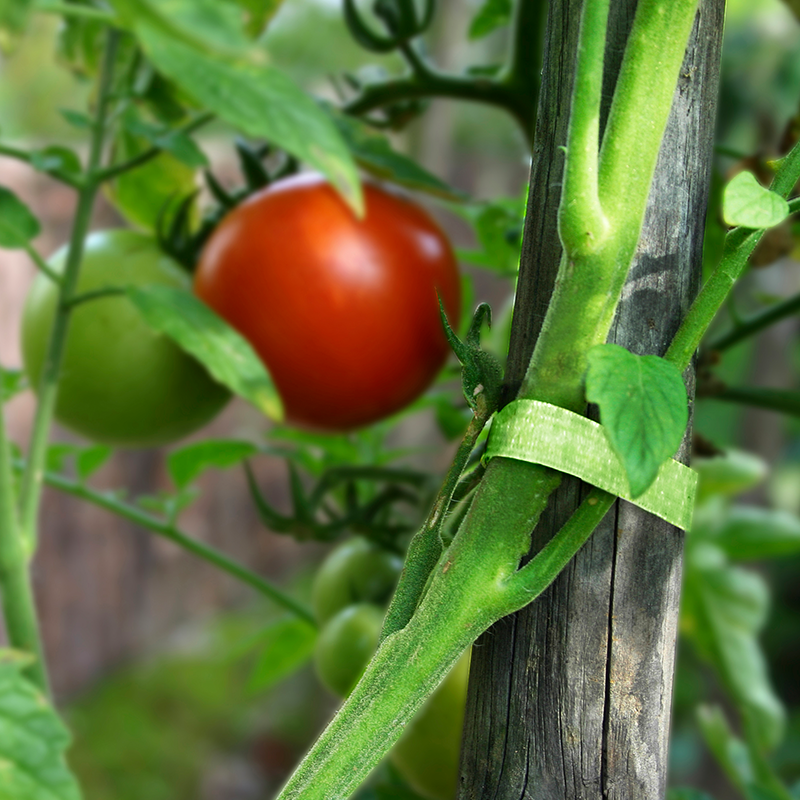 When you’re starting a new vegetable garden, a pack of VELCRO® Brand Plant Ties will come in handy for supporting the stems of young plants too. They’re soft on stems and easy to adjust as your plants grow. Always keep a pack to hand, ready for when you need them! Crop rotation in a vegetable garden means only planting the same crop in the same place once every three years. It’s beneficial for your vegetables because it stops the same vegetables depleting the same nutrients year after year. We’d recommend making a new vegetable garden plan every year so you can remember what you planted where in previous years. This isn’t a fun job but it’s an important one. Weed regularly to prevent them from taking over, and weed carefully around young plants to protect their roots. 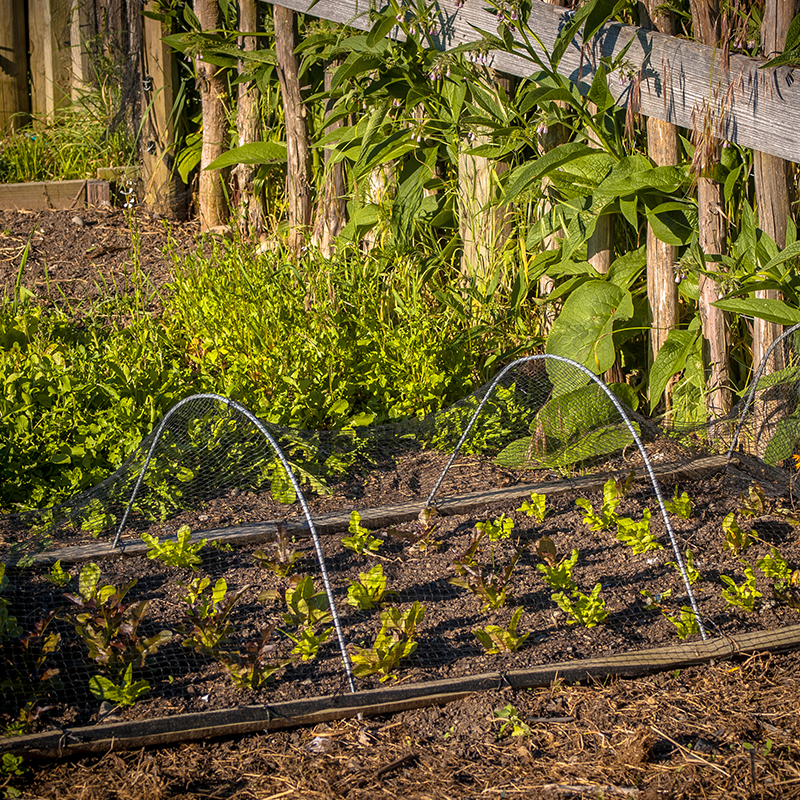 Prevention is much better than cure so to stop weeds taking hold, exclude light from unplanted vegetable beds to make sure that weeds don’t get the light that they need to grow. You can do this by placing sheets of cardboard on the soil, weighed down by bricks. Ready to start planting your vegetable garden? 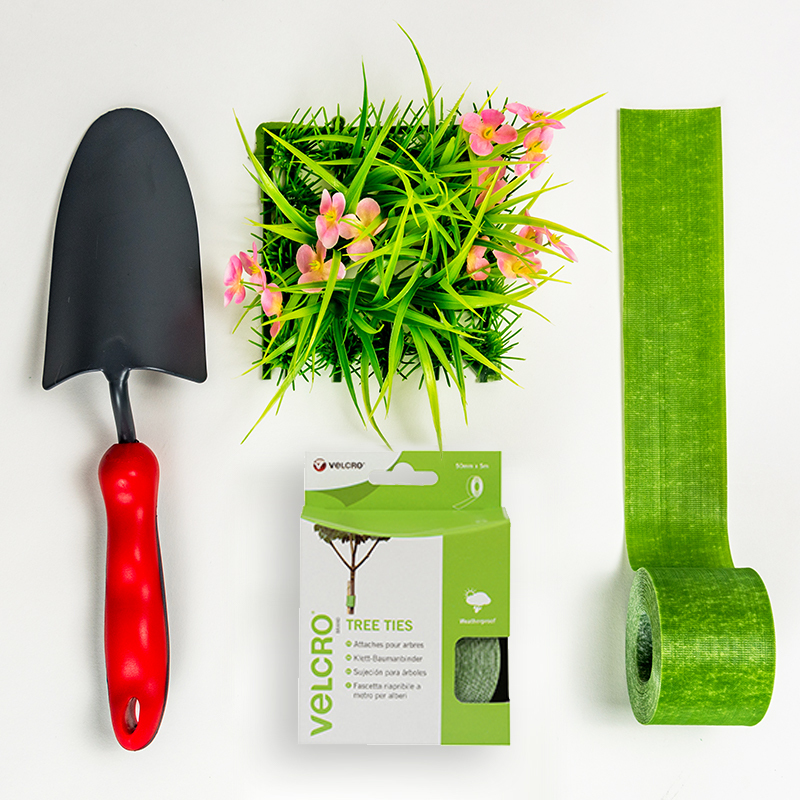 Pick up a pack of VELCRO® Brand Plant Ties before you get started or stay on our blog for more gardening tips and advice!